A unique blend of Fleetwood Mac-esque harmonies, Brad Paisley-infused guitar solos, and lyrics resembling an early Aimee Mann, Gasoline & Matches made a powerful impact on the UK scene this year. Following appearances at 2 of the UK’s premier country festivals, Buckle & Boots and FSA Fest, they received a nomination for Duo of the Year at the 2017 British Country Music Association Awards alongside The Shires and Ward Thomas. For their debut release ‘Fool’s Gold’, they’ve enlisted the help of experienced producer Gavin Monaghan. Over the years, Gavin has worked with the likes of Scott Matthews, The Twang, Ocean Colour Scene & Lisa Loeb to name but a few. Sally Rea Morris and Steve Marks met initially through their mutual love of country music. It was back in 2011 when their paths first crossed in a guitar shop in Birmingham. Shortly after meeting, Sally was due to move to America but the undeniable chemistry on stage and in the studio was a sure sign this would likely be the start of their journey. 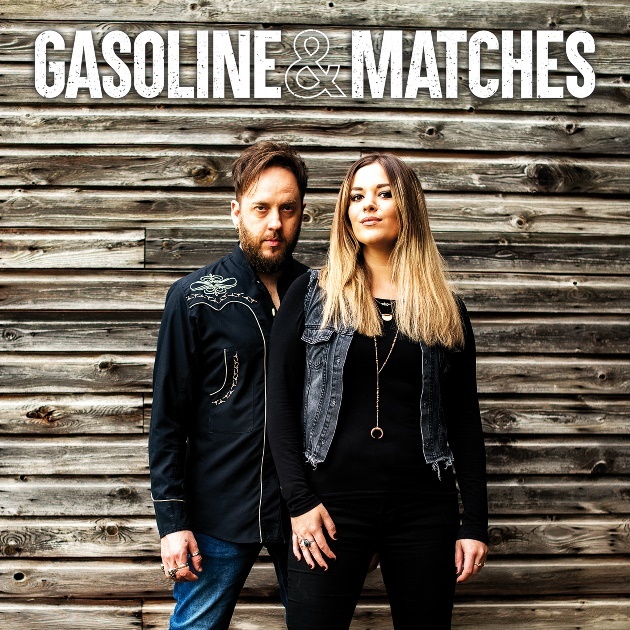 Being an ocean apart their story was put on hold, but it was only a matter of time before the duo reconnected and formed Gasoline & Matches. This explosive duo are about to set the UK Country scene alight!